A powerful novel told in verse. How can Serafina become a doctor when each day is a battle to survive? Serafina’s days are all more or less the same. Stomach-rumbling hunger. Fetching water. Sweeping dusty floors. Emptying chamber pots. Manman is having a baby, and if Serafina works hard, maybe this time the baby will live. 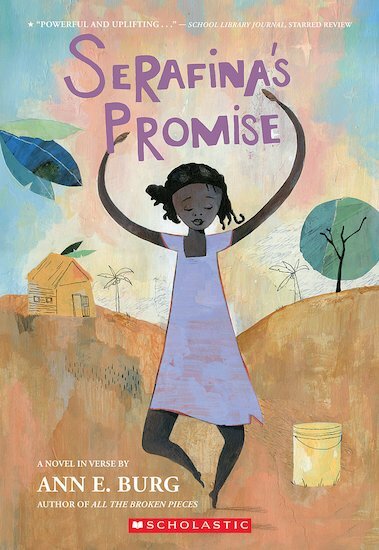 Serafina made a secret promise with her best friend, Julie Marie. She promised to go to school and follow her dream of becoming a doctor. But with all this work to do, how can she study? And what will happen to Serafina – and her promise – when an earthquake hits?